A powerful customer account can aggregate details of all the customer.Providing a 360-degree view of the customer. 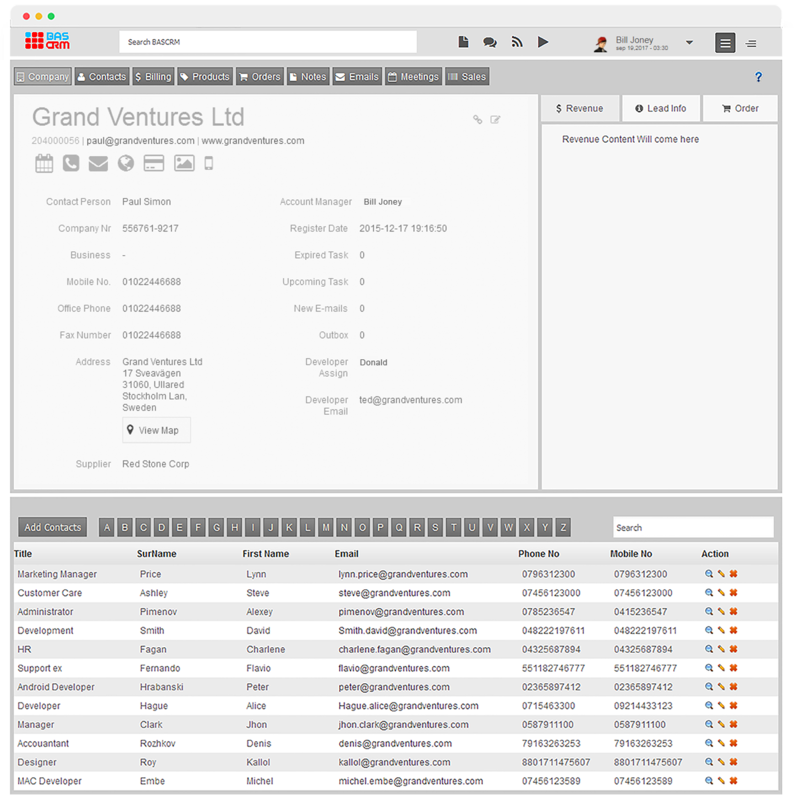 you can instantly access activity history, communications, internal account discussions, notes, e-mail and much more. A single unified database ensures information is immediately available without having to move from system to system. Associate accounts and related key contact by monitroing incoming and outgoing communication as emails, meetings, SMS.